If you just do one thing, do it brilliantly. It’s a modus operandi that, for restaurants, has a lot going for it. A limited menu means fewer stock lines to control. You can train your staff to be master of one trade, rather than Jack of all. You can get people served and tables turned fast, as you basically know in advance what they’ll be ordering. 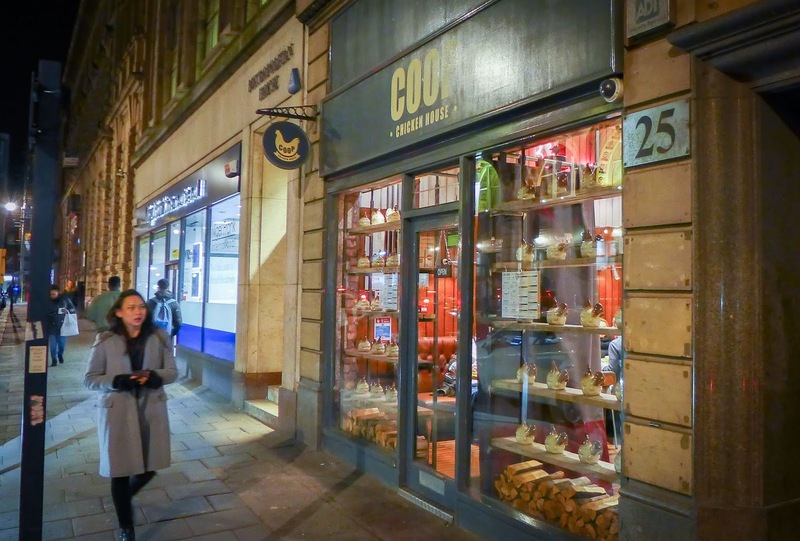 From burgers to tacos, you can see why some restaurants, especially those that make the cosmic leap of faith from street food stall to bricks and mortar, are attracted to the idea of the box-basic menu. For customers too, it can work out equally well, but everything depends on the execution. If my menu is pre-ordained by my choice of restaurant, then what you’re thrusting my way had better be a paradigm-shifting, Platonic ideal of the form. 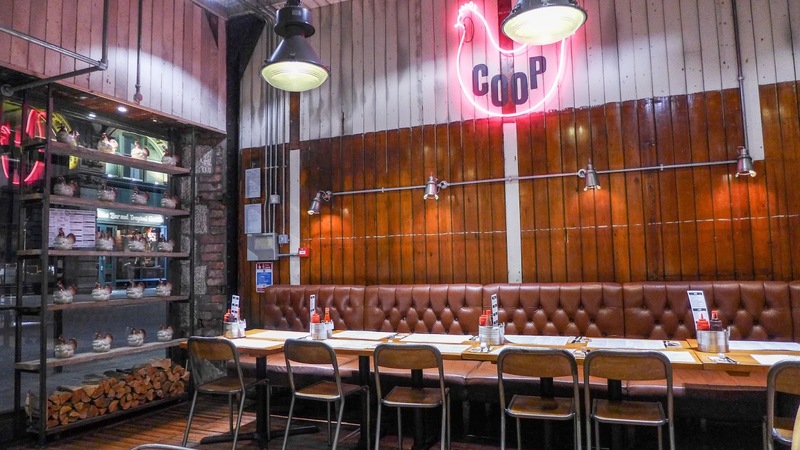 All of which preamble brings us neatly to Coop Chicken House where - guess what! - they serve chicken; and not a great deal else. I rarely order chicken, as the mental scars from eating too many characterless lumps of utility protein are deep and unhealed. This is a terrible shame, as chicken can be a wonderful thing. A rich gamey poulet de Bresse, roasted to order and stuffed with truffles and foie gras – now that’s a reason to order chicken. 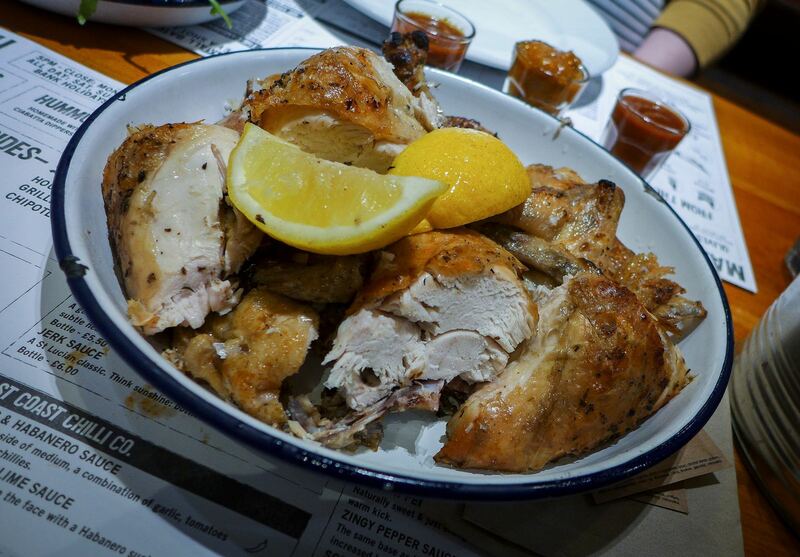 A chicken tagine, heady with the scent of North African spices, preserved lemons and huge olives – chicken heaven. At home, I have yet to find a better way of roasting it than the method prescribed by the estimable Simon Hopkinson: smeared with butter, squeezed with lemon, herbs and lemon halves up its bum. It’s a standard by which I measure all roast chicken, and one that I’m afraid Coop Chicken House does not meet, by some distance. It’s not that their chicken is actively bad, it’s just not remotely great. And yet it should be, for that’s the whole point of their existence. 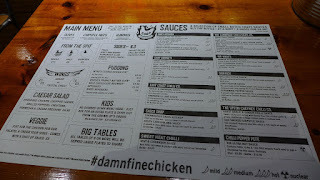 If their chicken isn’t superlative, the best in town, maybe even the best I’ve tasted in my life, then what on earth is the point of this place? 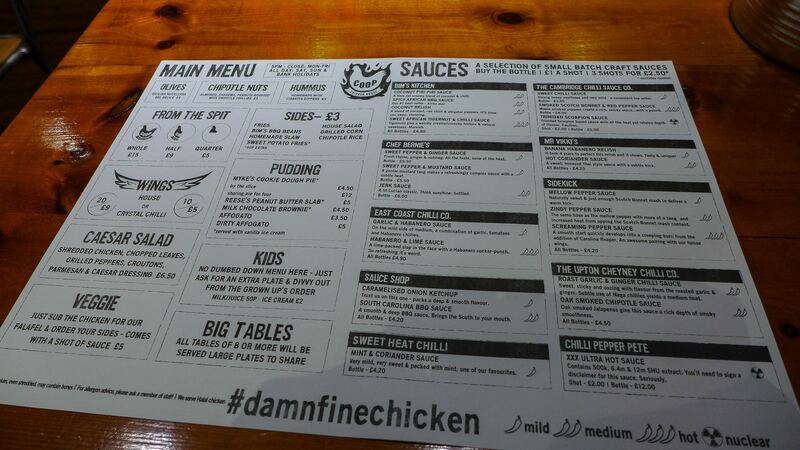 “#damnfinechicken” boasts their menu. No, it isn’t. 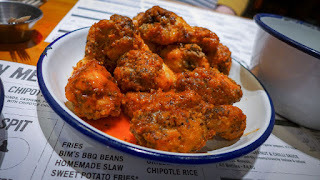 Their wings were pretty decent; massive appendages, properly jointed and fried before being smothered in lip-tingling Crystal chilli sauce. They could have been crisper, but the meat fell from the bone and had just enough flavour to stand up to the sticky thump of the sauce. We followed this chicken starter with a whole bird “from the spit”, which arrived neatly jointed and set us back fifteen quid. It was very much a bird of two halves. The legs and wings - darker meat that had cooked next to a bone - were not bad, the collagen having broken down and kept things moist. The breast meat, on the other hand, was drier than Jack Dee, but much less fun. There was something that tasted oddly slow-cooked about it. I asked a waitress, who confirmed that the chicken is cooked off in a steam oven before getting finished to order over a flame pit. So it’s not really “spit-roasted” at all. They need a rethink, as it rendered half our main course more or less inedible. The skin was salty, and mostly crisp, but this was scant compensation for a very disappointing dish. 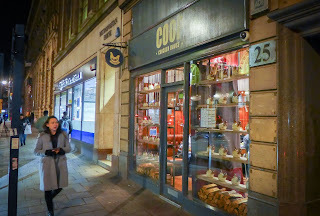 Our waitress also confirmed that, although “higher welfare”, Coop do not use free-range chickens. This is unbelievable. How can you possibly provide the best example of the only thing you can do when you don’t start with quality raw materials? Well, they don’t, and it shows. Side orders were merely competent. 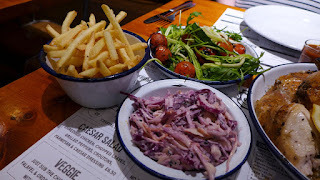 Fries were crisp, while a colourful slaw was refreshingly crunchy and possessed the faint mustardy tang of raw red cabbage. A house salad that majored on spiralized courgette and rocket was given a much-needed boot up the rear by the inclusion of some rather nicely charred cherry tomatoes. 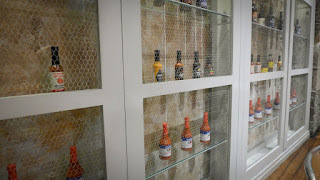 I struggled manfully to waste as little of the bird as possible, aided by three of a fine and varied range of hot sauces. This is actually the only thing that Coop has going for it. 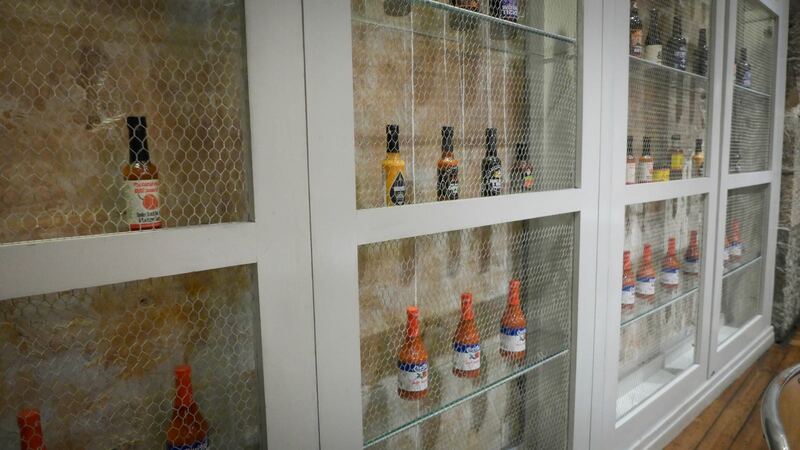 With the chicken itself tasting of very little, they rely on no fewer than 23 sauces from ten different producers, made available by the bottle or shot glass. I particularly recommend Mr Vicki’s banana habanero relish, and Chef Bernie’s jerk sauce. The fact that these were needed at all in order to make the meat vaguely interesting is, frankly, sad. 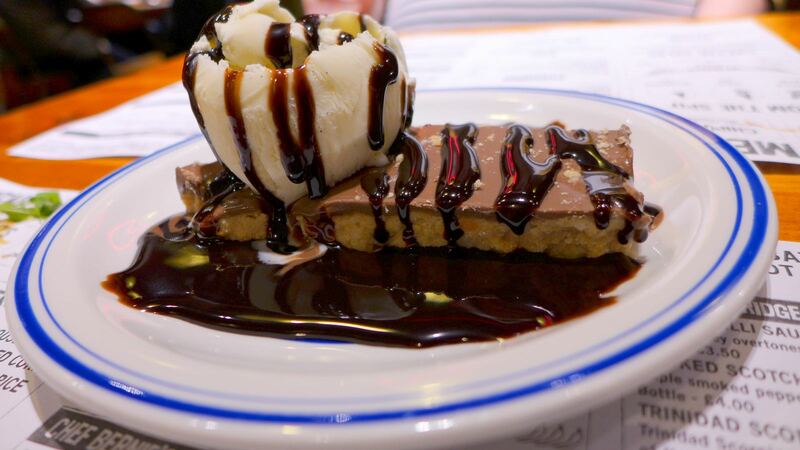 We shared a Reese’s peanut butter slab, which somehow managed to be less exciting than the peanut butter cups you can buy in the supermarket. It wasn’t helped by a scoop of ice cream that tasted of precisely nothing at all. There is no beer on tap (in a chicken house? - shameful), so I had a bottle of Seaham-based Autumn Brewing Co.’s EPA. Note to gluten-avoiders: this stuff is brewed from rice and quinoa and so is very light, but still pleasingly hoppy. I’ve got this far without mentioning the competition: Nando’s. There, I’m told, a whole chicken will set you back a couple of quid less than at Coop. 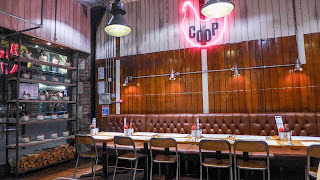 I’d love to be able to tell you that those two shiny coins are worth it, that the chicken at Coop is amazing, that this is a brave independent restaurant doing it right, putting the corporate giant to shame and all that jazz. But I can’t, because on the basis of this meal, it’s not true. If you really must eat chicken tonight, then I’d say cook your own. Download Hopkinson’s recipe and impress your partner. 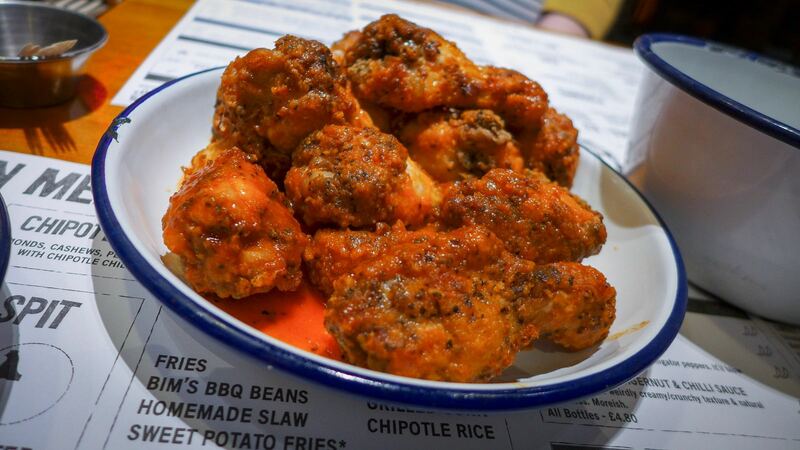 Meanwhile, if anyone wants to open a real chicken restaurant in Newcastle where zenith-level fried rather than grilled chicken is the one thing that you do, then the market’s still wide open. I’ll be round sharpish. Just make sure you do it brilliantly.